The origin of the name of this cat comes from its unique ability to completely surrender when picked up, letting yourself go softly just like a doll of cloth. 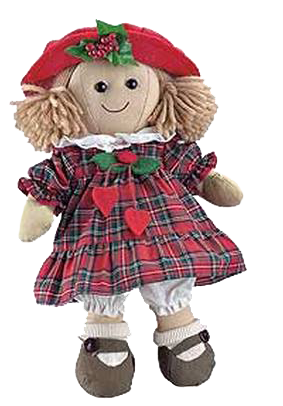 The History of Ragdolls born in Riverside California in the 1960s by Ann Baker. A pure white longhaired cat named Josephine is believed to be the matriarch of the breed along with a seal mitted male named Daddy Warbucks and a solid black cat named Blackie. Daddy Warbucks was bred to a daughter of Josephine named Buckwheat and her half sister, Fugianna. 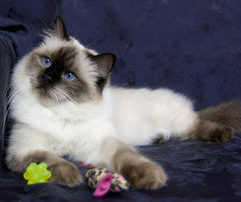 These cats are the foundation of the Ragdoll breed. Ann insisted Josephine's genes were altered at a nearby medical center where she was taken after being hit by a car. Litters born after her return from the hospital had the limp, loving personalities Ragdolls are known for, unlike her "normal" kittens born prior to her hospitalization. Baker's breeding program consisted of a handful of breeders contracted as franchises under her. 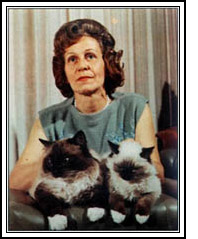 As time went on, Baker became more eccentric and breeders broke away from her so they could continue to develop the highly affectionate and consistently patterned cats. 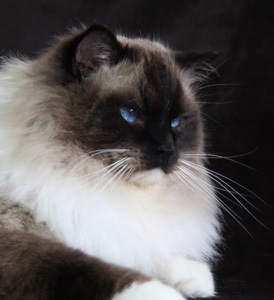 Denny & Laura Dayton were among the breeders who distanced themselves from Baker and went on to play a major role in making the Ragdoll into a legitimate breed recognized by all the major registries. 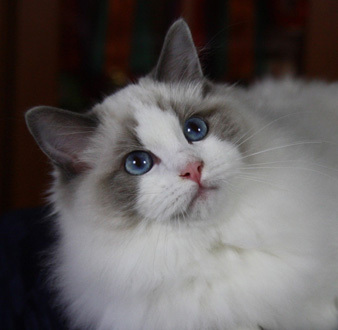 The Ragdoll is a relaxed, happy cat and, like a child's ragdoll, many of these cats will go limp in your arms and flop like a stuffed doll when cuddled. 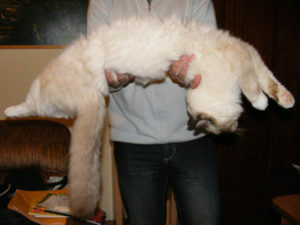 Generally, the Ragdoll cat is a loving, quiet cat with a very laidback disposition. If you are looking for a very active cat or a talkative cat, a Ragdoll probably is not the breed for you, although kittens and young adults can be very rambunctious and most Ragdolls are always willing to play. 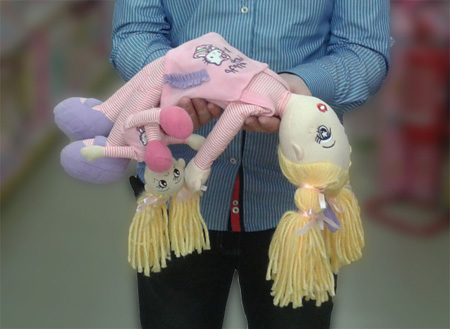 Ragdolls are known for their tolerant attitudes with other animals and especially children and many will allow themselves to be dressed in doll clothes and carried around by youngsters with absolutely no resistance. They are often compared to dogs because of their friendliness and intelligence and have even been taught to play fetch. Mask, ears, legs, paws and tail are colored in one of the varieties mentioned below. The body is a little bit lighter than the Point color. Collar and bib are even lighter. Nose and paw pads have different colors in each variety. In this pattern the mask, the ears, the legs and the tail are colored in one of the colors mentioned below, too. The body is lighter than the points. White chin, collar and bib as well as white mittens on the front legs and white boots on the back legs, not higher than mid-thigh. A white stripe runs down from the bib to the base of the tail. Ears, mask and tail are colored in one of the point-color varieties. The mask shows an inverted white "V". Belly and all legs are completely white. The body is a shade lighter than the point-color and shows white and colored patches. Nose and paw pads are pink.